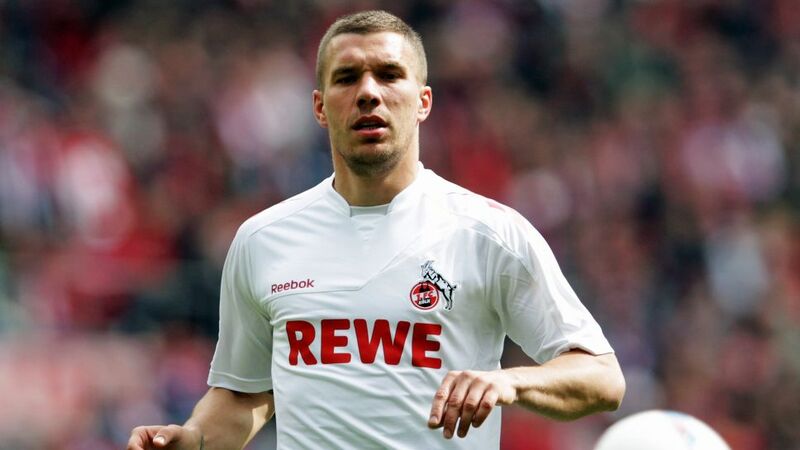 Lukas Podolski has admitted he would love to play for hometown club Cologne again before the FIFA World Cup winner hangs up his boots. Podolski left Galatasary to join Japanese side Vissel Kobe last summer in a move many saw as the 32-year-old bidding farewell to a playing career at the top level in Europe. But the former Bayern Munich and Arsenal forward has opened the door to a third and most likely final spell on the pitch with his beloved Billy Goats. "For me, this club, this city, these fans are really home," he wrote in an article in BILD. "And: I will return to 1. FC Köln in a shirt or in another position." In a tweet following the publication of the article, Podolski emphasised that - rather than return in another capacity - his desire is to again play for the club he joined at the age of ten, and for whom he scored 79 goals in 169 league appearances over two previous spells. "BILD mustn't have heard right," he wrote in German. "It remains my dream to wear the Cologne shirt again." Podolski's connection to his local side made him the ideal man to explain the decisions of Jonas Hector and Timo Horn to stay loyal to Cologne, despite the impending likelihood of the club dropping into to Bundesliga 2. The pair recently signed contract extensions and removed release clauses they could have activated in case of relegation.